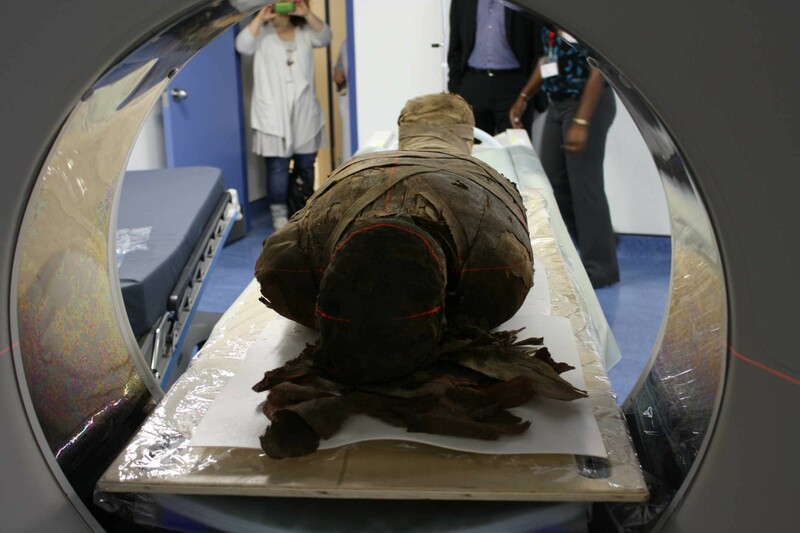 A mummy from the Redpath Museum in Montreal in a CT scanner. With grants from the NEH and Canada’s Social Sciences and Humanities Research Council, researchers at St. Luke’s Mid-America Heart Institute and the University of Western Ontario teamed up to build the IMPACT Radiological Database, an online clearinghouse of medical images taken from mummified human remains. Image courtesy Andrew Nelson, University of Western Ontario. With grants from the NEH and Canada’s Social Sciences and Humanities Research Council, researchers at Saint Luke’s Mid-America Heart Institute and the University of Western Ontario teamed up to build the IMPACT Radiological Database, an online clearinghouse of medical images taken from mummified human remains. The IMPACT Radiological Database makes it possible for researchers to analyze broad sets of data gathered from mummies around the world. In addition to providing fascinating insights into ancient burial practices, researchers have made significant discoveries about the history of heart disease and genetic predispositions that may well help them treat it in the future. By providing funding for this international collaboration, the NEH enabled great strides toward gaining a deep temporal perspective on common public health problems such as heart disease. 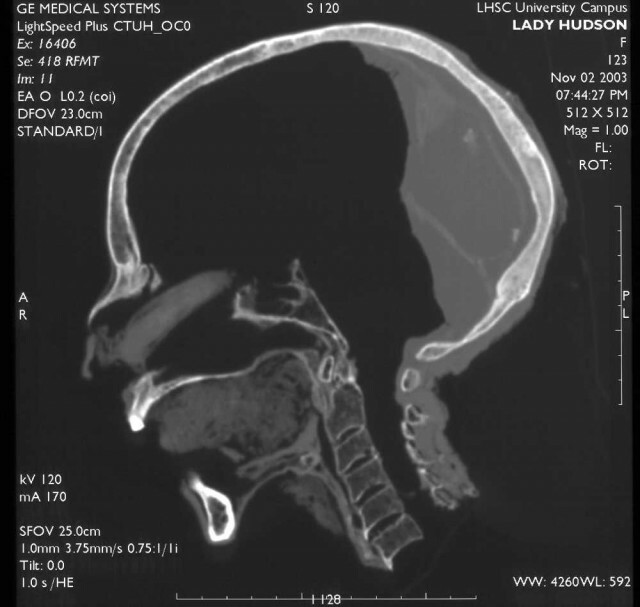 A CT slice through the midline of the head of a mummy—Lady Hudson—showing that her brain was removed through her nose and resin poured into the rear of the skull. Image courtesy of Andrew Nelson, University of Western Ontario. Over the course of the collaboration, the NEH-funded U.S. team, led by Thompson, generated more than 20 published manuscripts and abstracts, and Thompson is continuing his research into the source of heart disease. Nelson and Thompson continue to acquire radiological scans to add to the database, from which others can also draw to make new discoveries into the ancient world as well as other, modern health problems.